Hakmet offers a bagging solution for storing, transporting and selling firewood. There are two packing options avasilable. One for small bags the Packer 35 and one for large bags the Motti. The bags are made of UV-protected polyprophelene. They can be reused several times and disposed by burning. 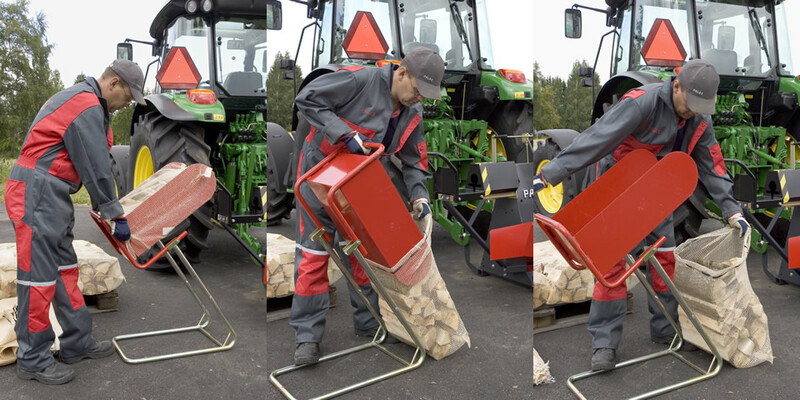 The small bag system Palax Packer 35 is an easy and quick way to bundle firewood. Just fill in the tray, slide on the bag, flip the tray and bind the bag. The small bag is 60 cm (24") wide and 80 cm (32") long. The volume of the bag is around 35 l or 1.25 cubic feet.